To check your Microsoft account balance, you can go to the billing site on Xbox.com, or you can use your Xbox console. This page provides details. Note For information about adding or removing a payment option for your Xbox Live subscription, see Manage your payment options online. Select Home. The balance in your account, including expiring balances, is displayed under Money & gift cards. To view more details about your balance, select Payment & billing, and then select Payment Options. You may be prompted to sign in again. This displays the balance in your account, including expiring balances, and options to add more money to your account. Scroll down and select your account to sign in. Under Account, select Payment & billing. Your account balance appears near the bottom of the screen. 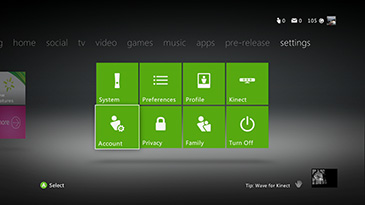 Sign in using your Xbox Live-enabled gamertag. From the Dashboard, go to settings and then Account. Your account balance appears at the top of the list. Would you like to contact Support regarding the "Check your Microsoft account balance" issue you were reading about or a different issue?